These varieties of aggression are explained in more detail below. If a cat feels threatened, particularly if she’s backed into a corner or a wall and doesn’t have a good escape route, she may go into a defensive posture, puffing up, hissing, and growling. If the harasser doesn’t back off, she may feel that she has no other choice but to attack. 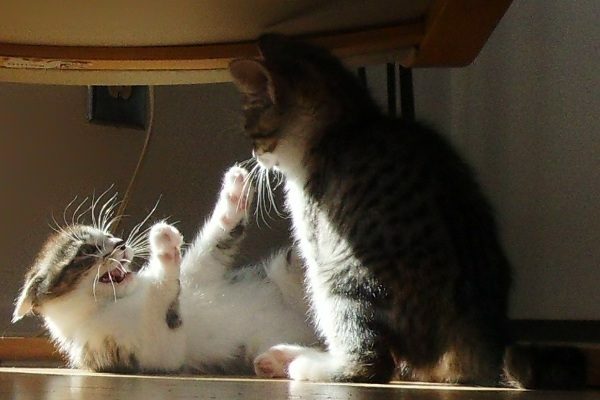 Cats displaying defensive aggression are unlikely to pursue if the other animal or person retreats. Cats may also attack humans who punish them because they feel a constant sense of threat from those people, or they may show aggression toward other animals they believe would try to dominate them, harm them, or take over the household if they didn’t keep them in line. A cat may also be aggressive if he suffers from severe generalized anxiety or has recently experienced a trauma that has made him fearful. If a cat is afraid of a new person or animal, keeping the feared individual at a distance and rewarding the cat with food or treats when that person or animal is visible but safely on the other side of the room can help to mitigate the fear. In the case of another animal, the feared cat or dog should be on a leash, behind a baby gate, or in a wire cage while the fearful cat has the opportunity to grow comfortable and come to associate the positive experience of food with the feared individual. 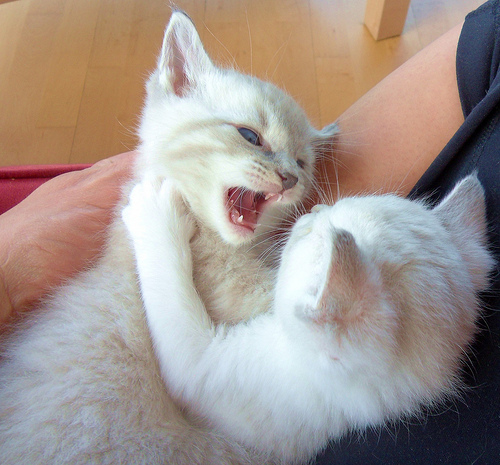 Fighting among unneutered male cats is often the most violent type of feline aggression. 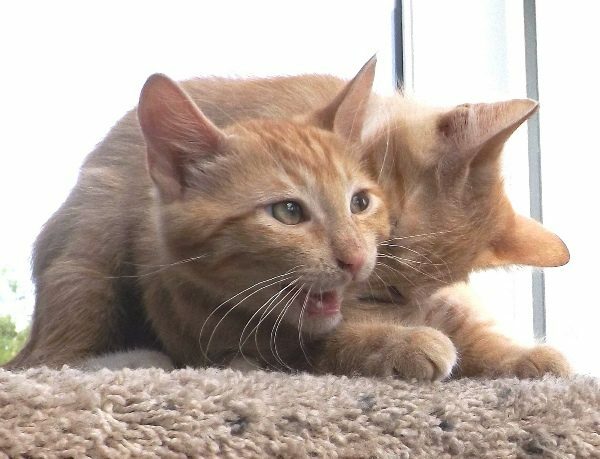 In addition to the potential for injury and abscesses at puncture wound sites, cats that engage in damaging fights are also at greater risk for acquiring feline leukemia (FeLV) and feline immunodeficiency virus (FIV). Neutering male cats can decrease fighting by 90%, as well as reducing the number of health problems a cat is likely to suffer later in life. 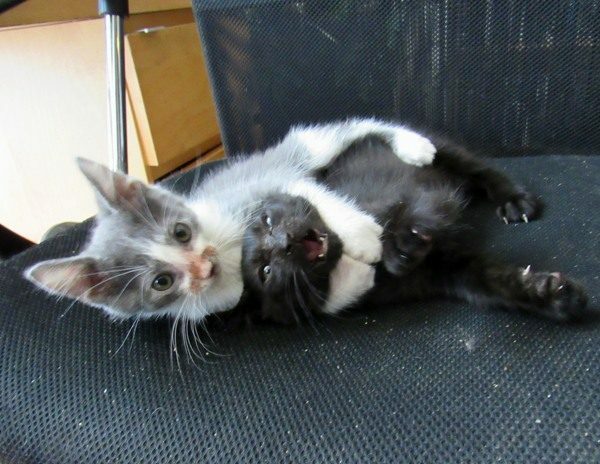 Much like people, cats will sometimes take their anger out on whoever is available, rather than the person, animal, or object that provoked it. 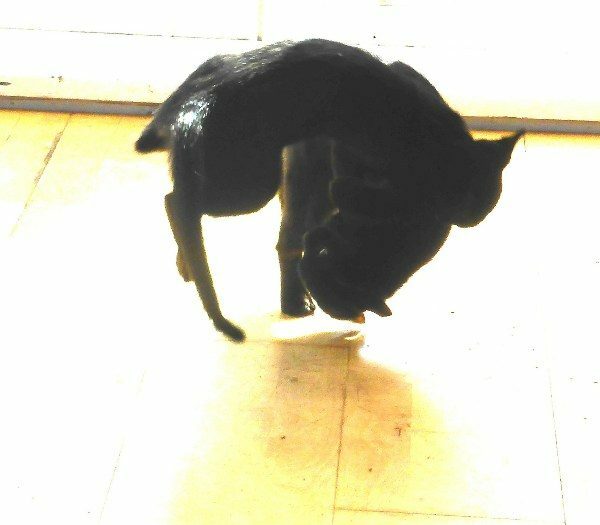 A cat that attacks a human, another cat, the family dog, or even a random household object may do so because she’s seen a cat outside that she doesn’t like but can’t reach. In the case of a cat that regularly gets angry in response to seeing unwelcome animals outside, keeping the blinds shut or curtains drawn can help. Fear-induced aggression can also be misdirected, as when a loud noise causes one startled cat to attack another because his fight-or-flight response has been triggered and he has to do something with all that adrenaline. While scary events are the most likely to provoke misdirected aggression, something unfamiliar or annoying may also do so. Cats recognize people and animals through their sense of smell, and if the smell is changed, a cat may believe that his roommate is an invader. This can happen when one cat goes away either to a groomer or the veterinarian and picks up a different set of smells. Non-recognition aggression can be prevented by taking the cat that has just come home into a separate room and closing the door to keep him away from other household cats until he has time to groom himself and pick up the familiar household smells again. Taking a dry, clean cloth, gently rubbing it over the alpha cat, and then rubbing the returning cat with it to transfer the scent can help to smooth the reintroduction. Sometimes a cat will get aggressive if she feels that another cat is invading her territory, even if she used to consider that cat a buddy. Cats that are the equivalent of teenagers or young adults (around 5-10 months) are more likely to start challenging dominant feline roommates by staring (which is considered a direct challenge) and perhaps growling or hissing, eventually progressing to chasing and even attack. These roommates may respond with their own aggression, and both combatants may engage in passive-aggressive behaviours such as spraying or hogging the food bowls. Territory issues are most likely to crop up when a new cat enters the scene. Providing each cat with his own food and water bowls and litter box also helps to reduce territorial aggression. Reference: Rainbolt, D. (2008). 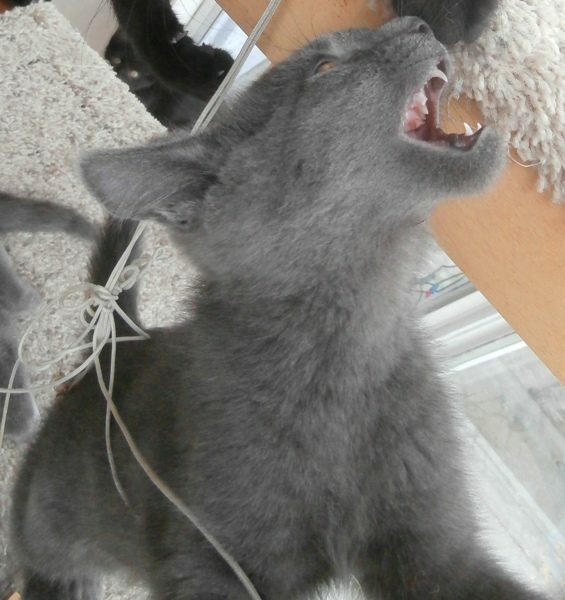 Cat Wrangling Made Easy: Maintaining Peace & Sanity in Your Multicat Home. Guilford, CT: The Lyons Press.